'As an artist, a writer, a woman and a human I like to share experiences. I tell stories to compel others to tell theirs. 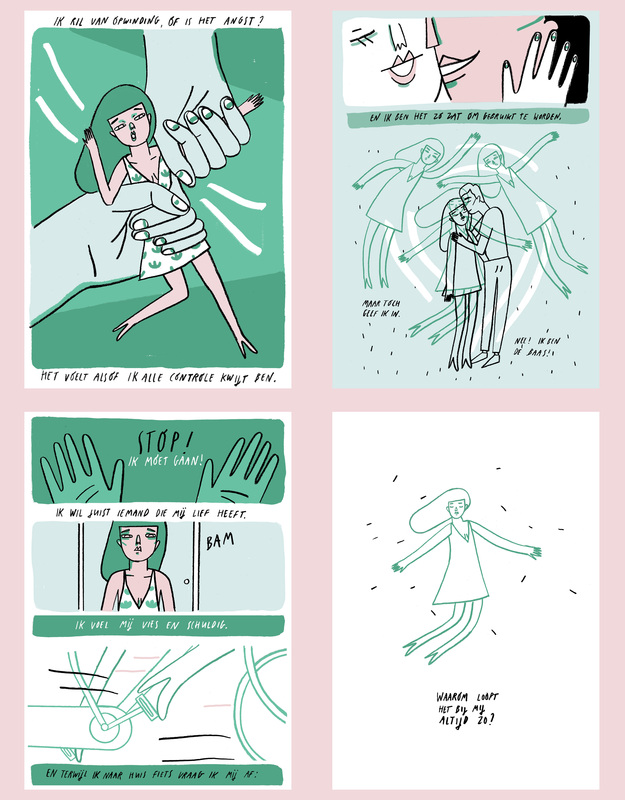 In this comic I raise the question about boundaries and expectations. To uncover the dark spots, the hidden stories that went too far. Not to hang anybody out to dry. But to address the delicate matter of trust and boundaries in relationship to ourselves and people in positions of power. Deze cartoon maakt deel uit van Verhalen van Vrouwen. Illustraties door La Nonette en Studio Doeke. 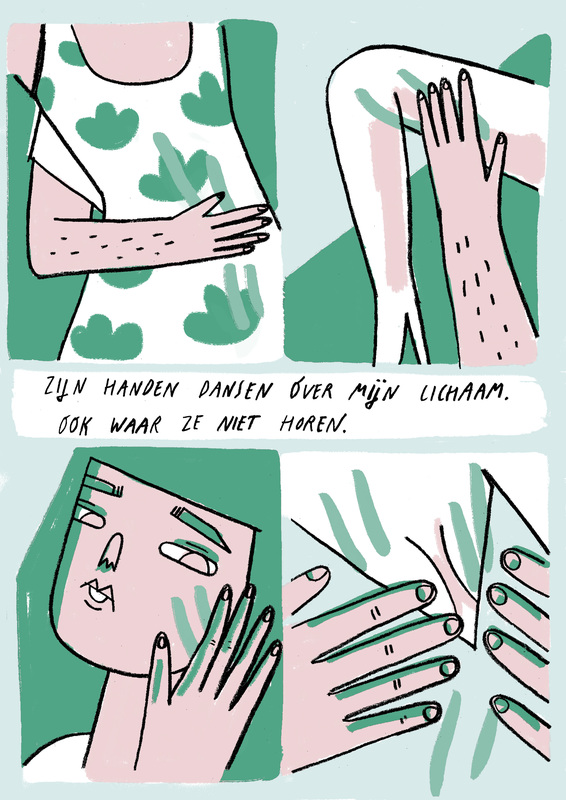 Productie door The Graphic Story. 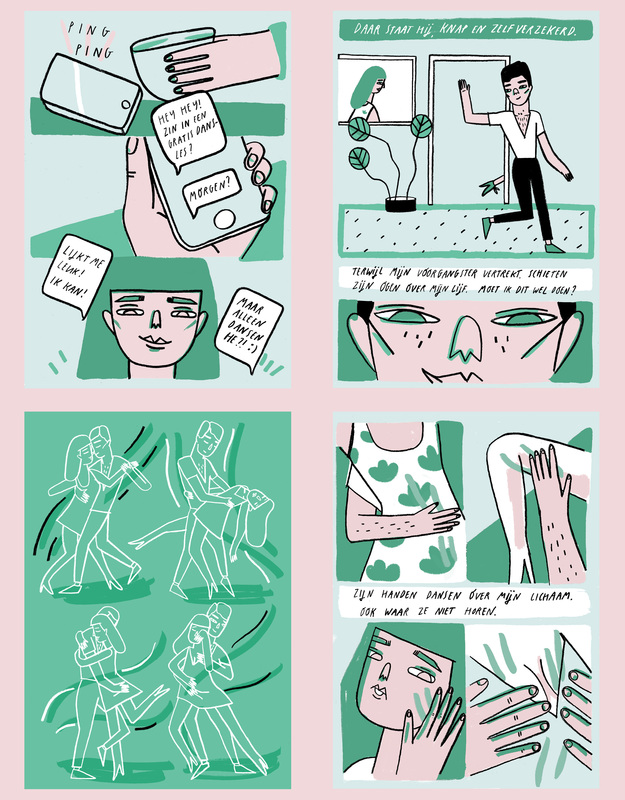 Mede mogelijk gemaakt door Het BankGiro Loterij fonds, Stichting in Lijn en The Graphic Story.